I will explain how to make Client Concept in SAP S / 4 HANA 1709. 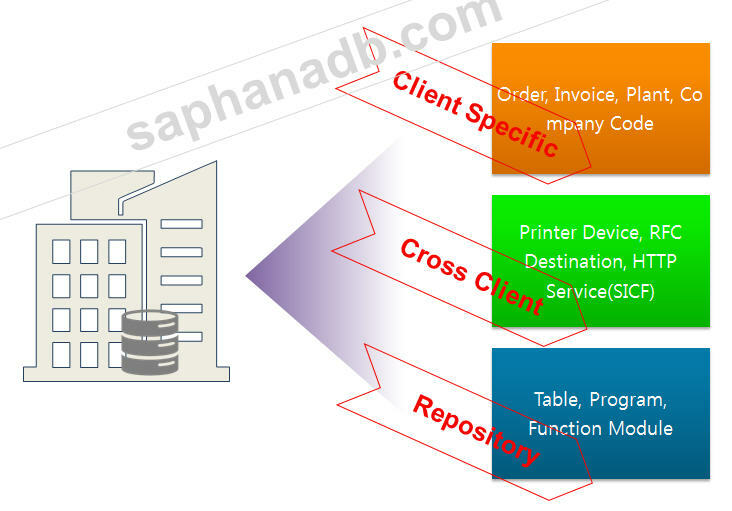 The method for Client Concept in SAP ERP 6.0 EHP8 or earlier SAP R / 3 is the same. It is not so difficult, and after creating a new client, you need to modify the parameters to log in as SAP * / pass and log in as the newly created Client. First, let’s start with the concept of client in SAP. 1. The concept of SAP’s client is very difficult to explain. This is a simple concept and a simple explanation that we wrapped this concept of client into a brand new concept. You can create multiple clients in the development system and configure them differently to distinguish them. Of course, adding a MANDT field to a table allows you to use a table in multiple ways. Another concept is obvious in other ERP solutions (Oracle, Peoplesoft, etc.). However, it takes time, experience and effort to explain this too complicated and to understand it. 2. Let’s take a simple example. Let’s take the example of a general manufacturer (LG’s washing machine) using SAP Software to produce and sell it to customers. Various parts (plastic, wires, steel plates, motors, switches, etc.) are required for the manufacturer to produce goods. In order to make a washing machine with these parts and sell it to customers, LG Electronics supplies the washing machine to the agency and OLED TV, washing machine, vacuum cleaner and refrigerator are displayed for sale to customers. If you find a washing machine you like and buy a 10KG drum washing machine, an order will be created. In order to ship the washing machine, we ask for delivery to the shipping company. When it is shipped to the customer, the customer issues an invoice. When the customer deposits the washing machine cost of KRW 1 million, LG Electronics and the consumer will complete the transaction. One client is divided into three main areas. 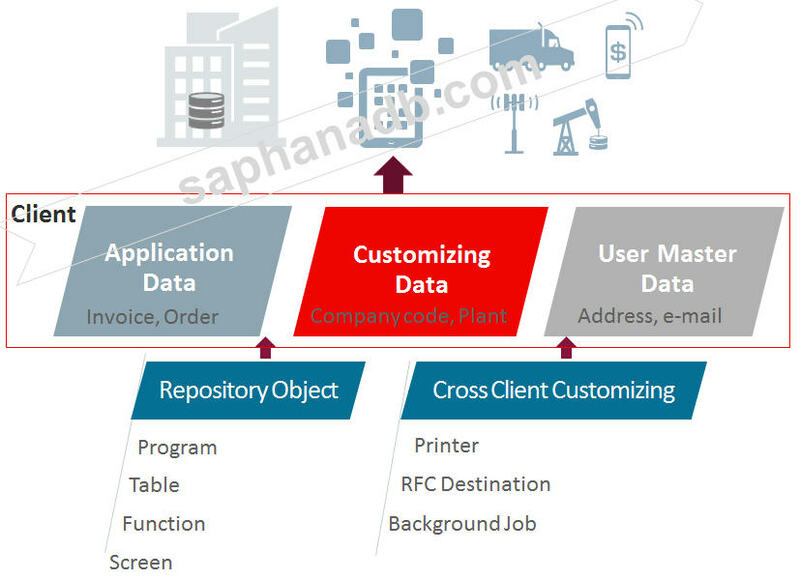 Application Data :We talk about the data that happens as the actual transaction is completed. Details of the purchase of the washing machine (10KG drum washing machine), shipping information, bill for expenses, etc. Customizing Data :It is setup information for LG Electronics which is a maker of washing machine. Company code information, factory (Changwon), sales organization, warehouse, etc. 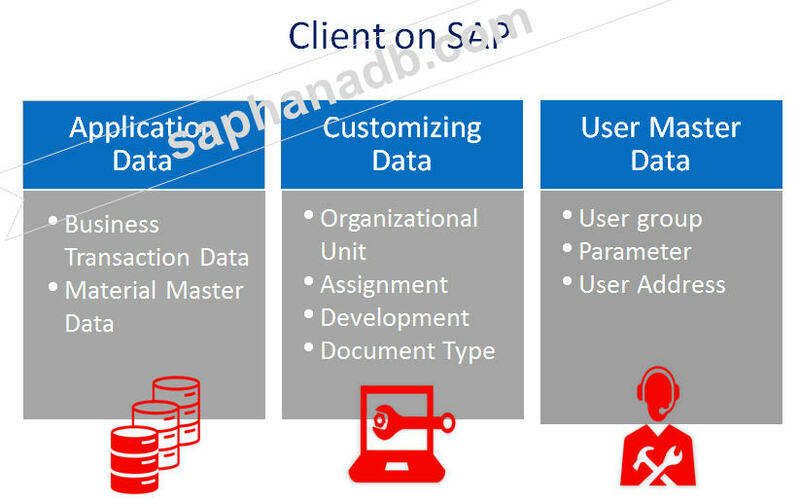 User Master Data :User information using SAP. ID information, environment setting (Korean name display, decimal point display, national time), e-mail address, etc. 3. Now that we talked about the Client, we’ll talk about the Repository that exists under the Client. Here the term Repository is an “information store” when it translates English. In other words, it is a warehouse that stores basic information. For example, let ‘s say that we bark at a single – family home where all of our parents can live together. I have to close the house instead of barking the house with only the land. If you make a basement, you have to dig a house and make room for a basement under it. First of all, you should make a house, make water pipes, toilet drain, and make a septic tank. 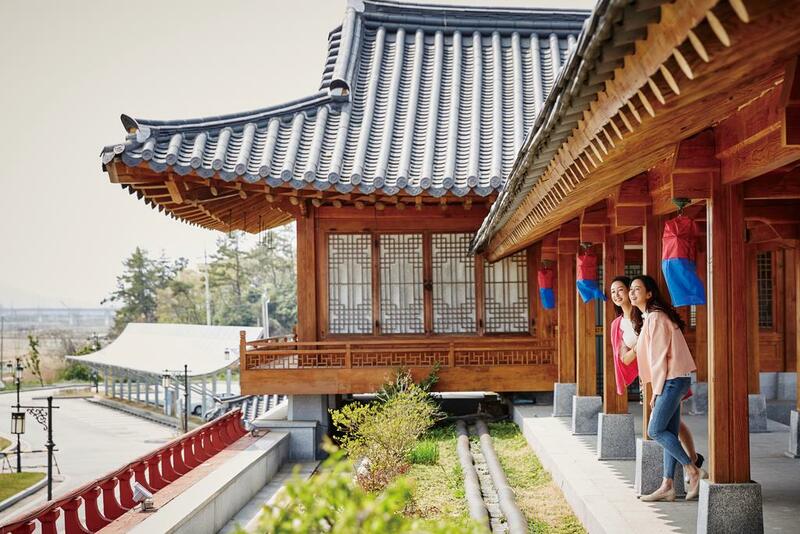 And for that, you can build a big Korea’s house(Hanok) to live together. Here, SAP Repositories and Cross Client Customizing are the infrastructure works for closing houses and barking houses. Repository : includes tables, programs, and functions. Cross Client : setting is Printer setting, RFC Destination. Repository is the land where you can build a house if you exemplify it at home. 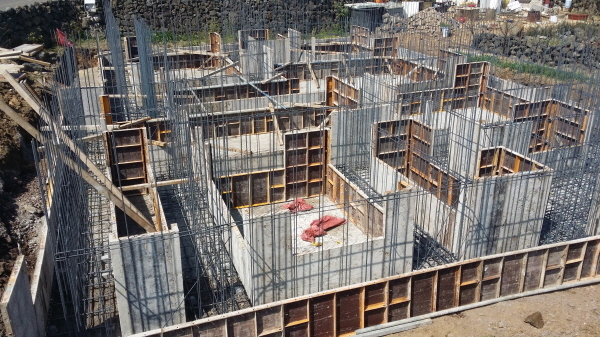 Cross Client Customizing is the construction of concrete foundation and the installation of framing work, drainage, and water piping according to house size. 4. Now the house construction is completed. I will build a tile house that is a Korea’s house(Hanok) style so that my parents, my brothers and sisters will bark loud enough to live in one house. As mentioned above, the floor is made of Ondol, the water piping, and the water piping construction so that the sink water goes out. Floor construction is common to both the room I live in, the room my parents live in, and the room my brother lives in. Both common toilet rooms and sinks are cross client customizing. 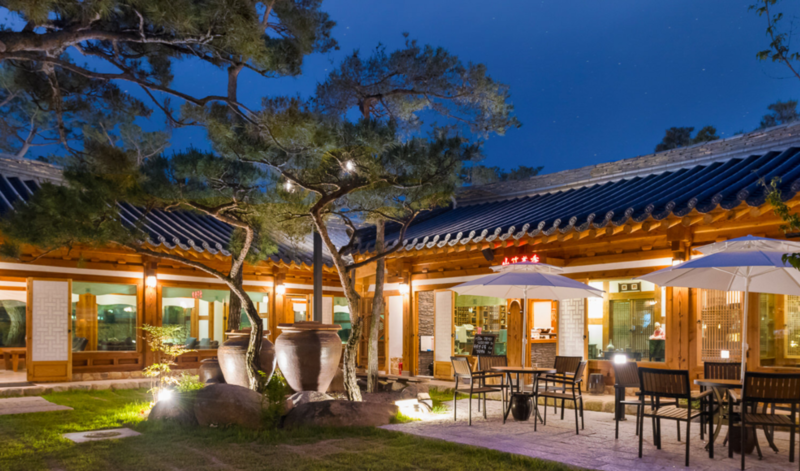 We live in Korea house(Honok) and sleep and eat rice, which is equivalent to SAP Business Data, and placing LG OLED TV, Kimchi Refrigerator and Drum Washer in my room corresponds to Customizing Data. I am the person who lives here at home. 5. The house where all my family can live is completed. It is a place where people come together in a place where they can live. We decided to build a new house and sell it. I can see the house where I live and pick up a new house and sell it right away. 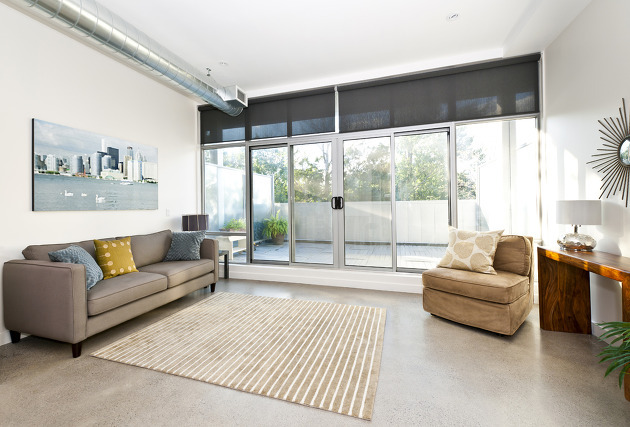 However, people who want to buy a new home can think of living room as living room with Italian flooring. When building a house for sale, the DEV System first constructs the floor using Italian flooring. 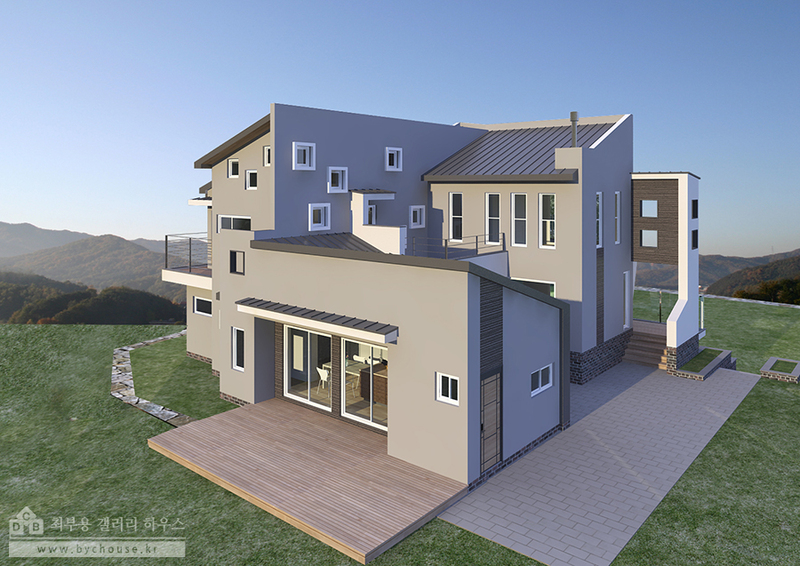 And in the QAS System, the Italian flooring is tested to ensure that the warmth is warm and not too slippery.After all the tests are completed, we will create and sell PRD System, which is a house for sale. 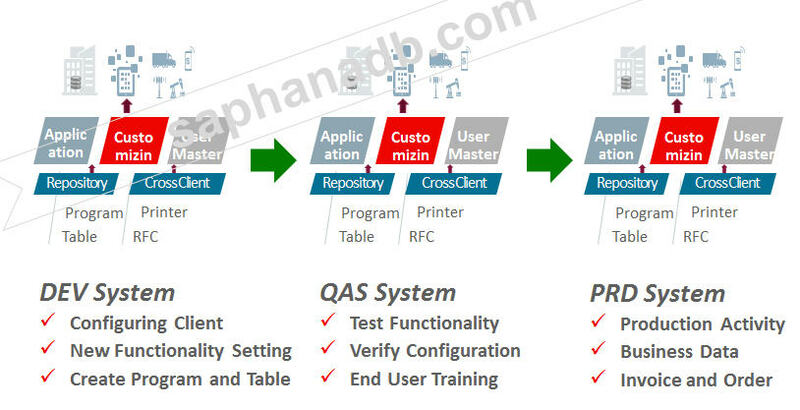 For example, if you go back to the manufacturer of LG Electronics and create a new program or logistics warehouse, you should first develop the program in the DEV System and test it in the QAS System to check for any abnormality. And we confirm that there is no final problem and apply LGD to PRD System and sell LG washing machine. 6. 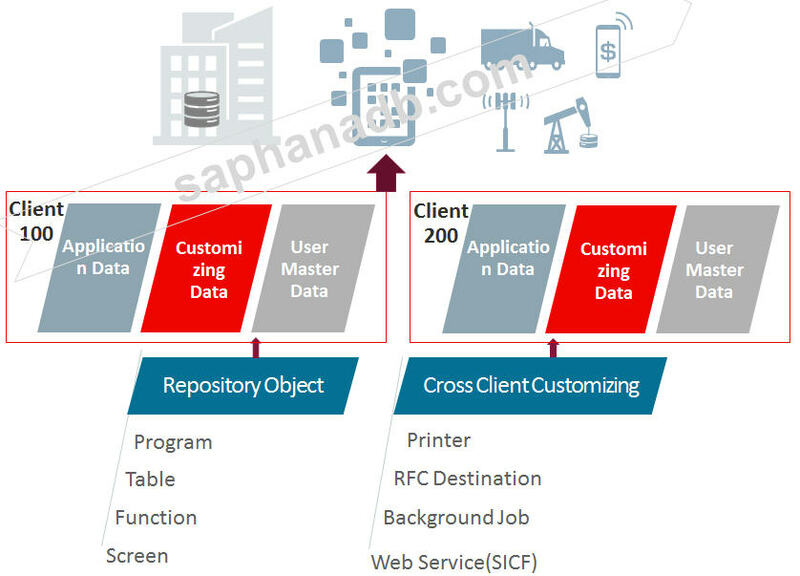 To explain the concept of SAP’s client, we first explained it. Now let’s explain Client Copy process. My Local Client copy is the process of installing the same OLED TV in my parents’ room at my home OLED TV. That is, the process of copying in the same house is the same 45-inch OLED TV copy in the room where my parents own the 45-inch OLED TV in my room as it is in the ground, sewer pipe and drain pipe. This entry was posted in S/4 HANA. Bookmark the permalink.